The office is closed from 12:00 pm until 1:00 pm for lunch. Welcome to Asheville Physical Therapy. We specialize in orthopedics, sports medicine, and sports performance training. Asheville Physical Therapy is therapist owned and conveniently located just off of Hendersonville Road behind Carolina Cinemas in South Asheville, NC. We also treat patients on Tuesdays at Xcel Sports Complex which is located off of I-26 exit 44. 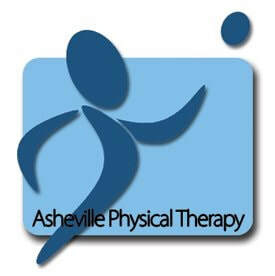 Asheville Physical Therapy specializes in the evaluation and treatment of orthopedic and sport injuries. We treat a variety of orthopedic problems and conditions, including shoulder, knee, hip, ankle, back, and neck disorders. We utilize a combination of manual therapy and therapeutic exercises for the relief of pain, restoration of proper postural alignment, correction of muscle imbalances, and the return to full functional activities. Our staff includes board certified orthopedic specialists, certified strength and conditioning specialists, and certified athletic trainers to help you return to the activities that you enjoy. Asheville Physical Therapy helps athletes to reach their fullest potential and to perform at the highest possible level. Speed, acceleration, deceleration, change of direction, strength, and explosiveness are all skills that can be developed and improved with proper training. Our staff has spent their entire professional career on helping athletes to succeed. We will design a program to specifically correct muscle imbalances, weaknesses, and movement deficiencies that have been hurting your performance. Our passion is to help people to achieve their goals and to see your dreams become a reality. Asheville Physical Therapy offers blood flow restriction (BFR) training to our patients and clients. BFR allows you to train with lesser loads and still make gains in strength and hypertrophy without the associated muscle damage of traditional strength training. We use the only FDA approved device for BFR and are one of the few clinics in western North Carolina that offers this service. We accept most major insurances including Medicare, Blue Cross Blue Shield, United Health Care, Aetna, Tricare, Mission HealthScope, MedCost, and Workers' Compensation. If you have insurance through one of the following companies, we most likely accept your insurance; Federal Government, State of North Carolina, City of Asheville, Asheville City Schools, Buncombe County Government, Buncombe County Schools, Ingles, Mission Hospital, the Biltmore Company, Grove Park Inn, BorgWarner, MB Haynes, Eaton, Walmart, Taylor & Murphy, M Thermo Fisher, Kearfott, UNC Asheville and many more. For your convenience we accept cash, personal checks, and credit cards such as MasterCard, Visa, & Discover.